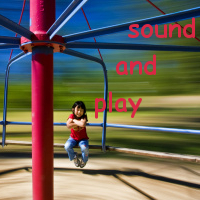 Unsettled Listening: Integrating Film and Place | Sounding Out! 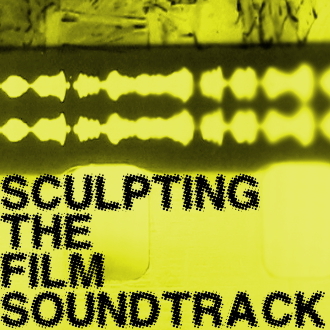 Welcome to the third and final installment of Sculpting the Film Soundtrack, our series about sound in contemporary films. We’ve been focusing on how filmmakers are blurring the boundaries between music, speech, and sound effects – in effect, integrating distinct categories of soundtrack design. In our first post, Benjamin Wright showed how celebrated composer Hans Zimmer thinks across traditional divisions of labour to integrate film sound design with music composition. Danijela Kulezic-Wilson followed up with an insightful piece on the integration of audio elements in Shane Carruth’s Upstream Color, suggesting how scholars can apply principles of music, like tempo and rhythm, to their analyses of the interactions between a film’s images and sounds. In this final entry, Randolph Jordan, considers another dimension of integration: a film’s sounds and the place where it was produced. In his provocative and insightful reading of the quasi-documentary East Hastings Pharmacy, Jordan, who is completing a post-doctoral post at Simon Fraser University, elaborates on how the concept of “unsettled listening” can clue us into the relationship between a film and its origins of production. You’ll be able to read more about “unsettled listening” in Jordan’s forthcoming book, tentatively titled Reflective Audioviewing: An Acoustic Ecology of the Cinema, to be published by Oxford University Press. Hubbub indeed. Let’s unpack it. The scene appears one third of the way through East Hastings Pharmacy (Antoine Bourges, 2012), a quasi-documentary set entirely within this clinic, staging interactions between methadone patients (played by locals and informed by their real-life experiences) and the resident pharmacist (played by an actress). Vancouver’s Downtown Eastside, dubbed Canada’s “worst neighborhood” for its notorious concentration of transients and public drug use, is also home to the largest community of First Nations peoples within the city limits, a product of the long history of dispossession in the surrounding areas. When the film presents this indigenous pair listening to a Hollywood fabrication of the sounds that marked their loss of title to the city it is a potent juxtaposition, especially given the American infiltration of Vancouver’s mediascape since the 1970s. Long known as “Hollywood North,” Vancouver is more famous as a stand-in for myriad other parts of the world than for representing itself, its regional specificity endlessly overwritten with narratives that hide the city and its indigenous presence from public awareness. In her essay “Thoughts on Making Places: Hollywood North and the Indigenous City,” filmmaker Kamala Todd stresses how media can assist the process of re-inscribing local stories into Vancouver’s consciousness. East Hastings Pharmacy is one such example, lending some screen time to urban Natives in the 21st Century city. But Todd reminds us that audiences also have a responsibility “to learn the stories of the land” that have been actively erased in dominant media practices, and to bring this knowledge to our experience of the city in all its incarnations (9). Todd’s call resonates with a process that Nicholas Blomley calls “unsettling the city” in his book of the same name. Blomley reveals Vancouver as a site of continual contestation and mobility across generations and cultural groups, and calls for an “unsettled” approach that can account for the multiple overlapping patterns of use that are concealed by “settled” concepts of bounded property. With that in mind, I propose “unsettled listening” as a way of experiencing the city from these multiple positions simultaneously. 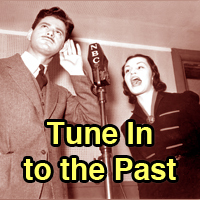 Rick Altman taught us to hear any given sound event as a narrative by listening for the auditory markers of its propagation through physical space, and recording media, over time (15-31). Unsettled listening invites us to hear through these physical properties of mediatic space to the resonating stories revealed by the overlapping and contradictory histories and patterns of use to which these spaces are put, all too often unacknowledged in the wake of settler colonialism. East Hastings Pharmacy provides a great opportunity to begin the practice of unsettled listening. The film’s status as an independent production amidst industrial shooting is marked by the intersection of studio-fabricated sound effects and direct sound recording, as in the example described above, and further complicated by the film’s own hybrid of fiction and documentary modes. That speaks to the complexity of overlapping filmmaking practices in Vancouver today, a situation embedded within the intersecting claims to land use and cultural propriety on the streets of Vancouver’s Downtown Eastside. To unsettle listening is to hear all these overlapping situations as forms of resonance that begin with the original context of the televised cartoon and accumulate as they spread through the interior of the clinic and outwards across the surrounding land. So let’s try this out. 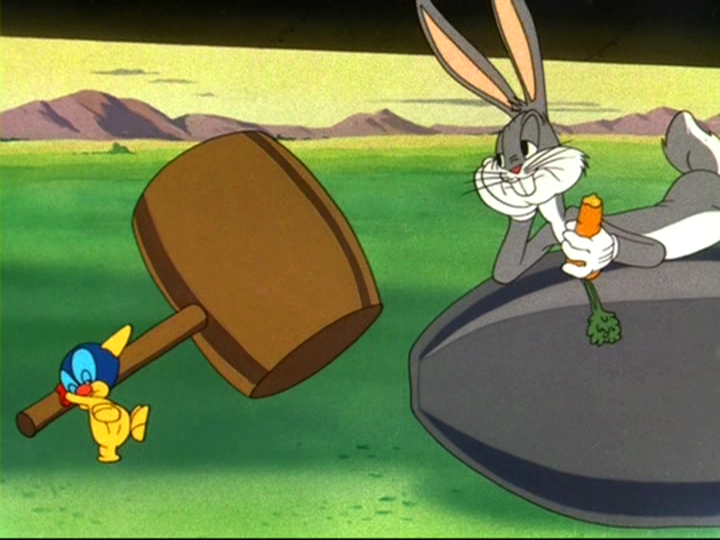 The cartoon is Falling Hare (Robert Clampett, 1943), a good example of the noted history of cross-departmental integration at The Warner Bros.’ cartoon studios. The scene in question begins at 1:55, and here the metallic clinking sound is just as likely to have been produced by one of music orchestrator Carl Stalling’s percussionists as by sound effects editor Treg Brown. This integration can be heard in the way that the music’s unspoken reference to railway construction charges each clink with the connotation of hammer on spike. However, the image track in Falling Hare doesn’t depict railway construction, but rather a gremlin whacking the nose of a live bomb in an attempt to do away with enemy Bugs seated on top. James Lastra would say (by way of Christian Metz) that the clinking sound is “legible” as hammer on spike for the ease with which the sound can be recognized as emanating from this implied source (126). But this legibility is premised upon a lack of specificity that also allows the sound to become interchangeable with something else, as is the case in this cartoon. East Hastings Pharmacy capitalizes on this interchangeability by re-inscribing the clinking sound’s railway connotations, first by stripping the original image and then by presenting this sound in the context of the dire social realities of Vancouver’s Downtown Eastside as the city’s sanctioned corral for the markers of urban poverty – and indigeneity – that officials don’t want to spill out across the neighborhood’s increasingly gentrified perimeter. As one of a string of Warner Bros. cartoons put in the service of WWII propaganda, the Falling Hare soundtrack also resonates with wartime xenophobia and imperialist expansion, branches of the same pathos that leads to the effacing of indigenous culture from the consciousness of colonizing peoples. In Vancouver, this has taken the form of what Jean Barman calls “Erasing Indigenous Indigeneity,” the process of chasing the area’s original peoples off the land while importing aboriginal artifacts from elsewhere to maintain a Native chic deemed safe for immigrant consumption (as when the city paid “homage” to the vacated Squamish residents of downtown Vancouver’s Stanley Park by erecting Kwakiutl totem poles imported from 200km north on Vancouver Island) (26). This is an interchangeability of cultural heritage premised upon a lack of specificity, the same quality that allows “legible” sound effects to become synchretic with a variety of implied sources. And this process is not unlike the interchangeability of urban spaces when shooting Vancouver for Seattle, New York, or Frankfurt, emphasizing generic qualities of globalized urbanization while suppressing recognizable soundmarks from the mix (such as the persistent sound of float plane propellers that populate Vancouver harbour, the grinding and screeching of trains in the downtown railyard, or the regular horn blasts from the local ferry runs just north of the city). The high-concept legibility of Warner Bros.’ sound effects – used in Falling Hare to play on listener’s expectations to comic effect – is further unsettled by its presentation within the context of documentary sound conventions in East Hastings Pharmacy. Bourges’ film commits to regional specificity in part through the use of location sound recording, which, as Jeffrey K. Ruoff identifies in “Conventions of Documentary Sound,” is particularly valued as a marker of authenticity (27-29). While Bourges stages the action inside the clinic, the film features location recordings of the rich street life audible and visible through the clinic’s windows that proceeds unaffected by the cameras and microphones. This situation is all the more potent when we account for the fact that, in this scene, the location-recorded cartoon soundtrack and ambient sound effects were added in post-production, and so represent a highly conscious attempt to channel the acoustic environment according to the conventions of “authentic” sound in documentary film. While the film uses location recording as a conscious stylistic choice to evoke documentary convention, it does so to engage meaningfully with the social situation in the Downtown Eastside, underlining Michel Chion’s point that “rendered” film sound – fabricated in studio to evoke the qualities of a particular space – is just as capable of engaging the world authentically (or inauthentically) as “real” sound captured on location (95-98). By presenting this Hollywood cartoon as an embedded element within the soundscape of the clinic, using a provocative mix of location sound and studio fabrication, East Hastings Pharmacy unsettles Hollywood’s usual practice of erasing local specificity, inviting us to think of runaway projects in the context of their foreign spaces of production and the local media practices that sit next to them. Finally, this intersection of sonic styles points to the complex relationships that exist between the domains of independent and industrial production around Vancouver. In his book Hollywood North, Mike Gasher argues for thinking about filmmaking in British Columbia as a resource industry, pointing to how the provincial government has offered business incentives for foreign film production similar to those in place for activities like logging and fishing. Here we can consider how the local film industry might follow the same unsustainable patterns of extraction as other resource industries, all premised upon willful ignorance of indigenous uses of the land. Yet as David Spaner charts in Dreaming in the Rain, the ability to make independent films in Vancouver has become largely intertwined with the availability of industrial resources in town. Just as Hollywood didn’t erase the independent film, colonization didn’t erase indigenous presence. East Hastings Pharmacy offers a powerful example of how we can practice unsettled listening on the staged sound of Falling Hare, devoid of local context and connected to the railway only by inference, to reveal a rich integration with regional specificity as the cartoon’s auditory resonances accumulate within its new spaces of propagation. 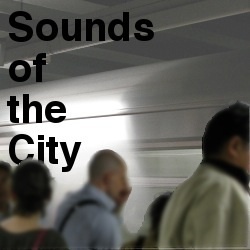 In this way we can hear local media through its transnational network, including the First Nations, to understand the overlaps between seemingly contradictory modes of being within the city. And in so doing, we can also hear through the misrepresentation of the Downtown Eastside as “Canada’s worst neighborhood” to the strength of the community that has long characterized the area for anyone who scratches the surface, an important first step along the path to unsettling the city as a whole.